is a name that may not be familiar to many American dulcimer players, but that is about to change! Cristian is a dulcimer dynamo! Originally from Brittany, a small Celtic country in western France, he was a classically trained pianist as a child, but was compelled to try other instruments and push his natural musical ability beyond any limitations. When Cristian first discovered the rustic folk instruments made by his paternal great grandfather, he became enthralled with the idea of experimenting with ways to make these primitive instruments sing. 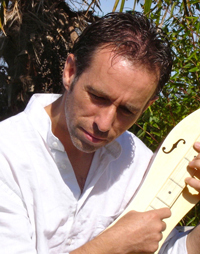 With no realization that these crude wooden boxes with strings existed beyond Brittany, and no one to teach him, Cristian developed a unique playing style, and only later learned that these same instruments existed in America as mountain dulcimers! Once again, if you have any trouble with PDF files, let someone know. The following workshops are full, and can accept no more students. is a stellar performer who needs no introduction to most of us, and her name is magic to dulcimer players from all parts of our country. 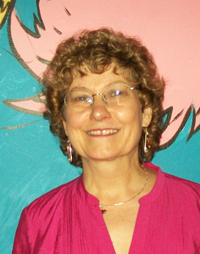 She reaches out to her students with understanding and encouragement and has become legendary in the dulcimer community for her teaching, as well as for her performing. Susan sings eloquently of the things in our lives that really matter: uplifting songs of home, hills, farms, and small town America. Her skill on mountain dulcimer, guitar, and banjo is truly amazing (as well as award-winning), her humor is warm and uplifting, and her music has touched many of us in ways beyond measure. She lives right nearby in the Albany area, but the Appalachian mountains are in her heart, as well as her music.